Every person's mind works in its own way, and for me, that's the Static. A whole lot of incomprehensible noise, its nothingness providing the space for infinite possibilities, infinite ideas, but not allowing them to form. Through this black & white wonder, the a signal will soon be found, and thoughts are easier transmitted into the living world through fabulous sight and sound. 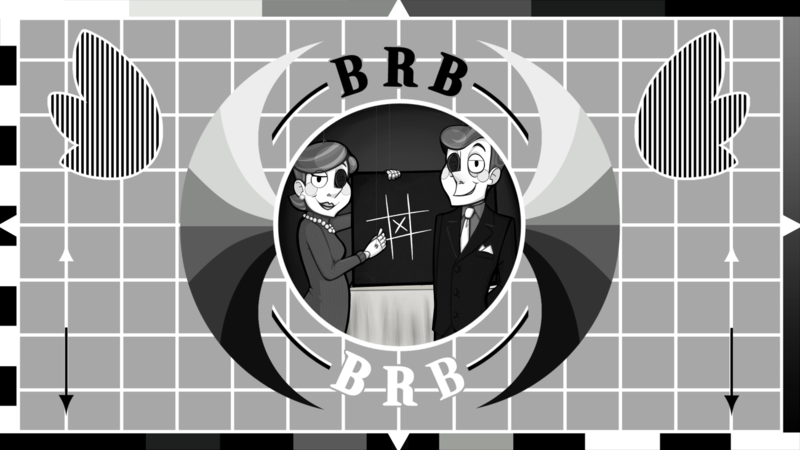 Welcome darlings, to The British Revisionary Broadcasting. But who am I exactly? Well, I'm many things... I'm an artist lost in their own mind, a man fighting for happiness in a world that doesn't seem to let up, a simple, disabled person who wants to live his life doing what he loves- whatever that may be. I am myself, I am my work, I am the stubborn young man on a mission, the man who in her second degree year came down ill, who was told his dreams were now unreachable. I am the marionette who adapted, and although life seems to want him to give up, never does. But it's not as easy as words make it; at the moment I'm living off of Patreon, small disability benefits, and the under the care of my Fiancé. Obviously, the latter two are not ideal, but health means I'm unable to hold the schedule of a job. Because of this, my income is Here, There, and a limited Artistic Everywhere. Which is why I call out to you. Yes, you. There's a lot of work I don't show publicly, such as insights, layers, sketches- even most of my sketchbooks never see the light of day. Having a Patreon allows me to clean-up, write-up, and post those pieces whenever I have them- like a big Extras gallery! + if you're in the Discord, you'll be given the Children of the Static role. I'll record a Patreon-only video series where I go though my sketchbooks (old and current) and go into detail on why I drew them, what inspired them, and all the little bits.